Explore the Alsace wine route to discover the wines of the region. Renowned for its aromatic whites, the regions climate is well suited with a dry sunny climate and favorable soils and exposure. 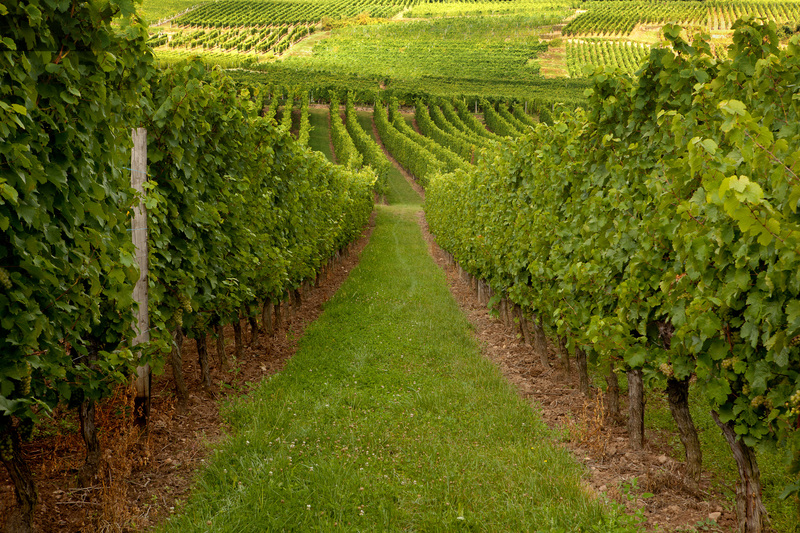 Begin the day with a stop in the Mittelbergheim wine producing region. The area is home to the Zotzenberg, Kastelberg and Wiebelsberg Grand Crus and the soils found here are particularly favorable for Riesling. Here,experience your first Alsace wine discovery by tasting a selection of different wines including Pinot Blanc, Sylvaner and Riesling. Continue on to Dambach la ville wine area. 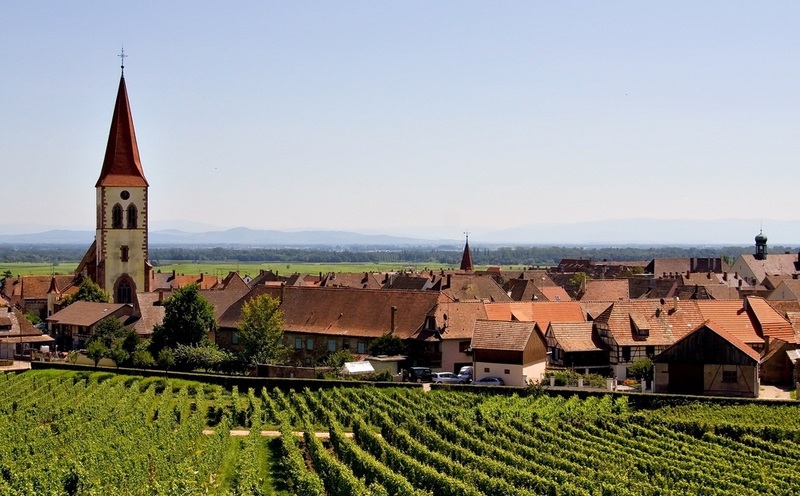 The village itself is considered to be located at the heart of the Alsace wine region and is home to the Grand Cru Frankstein. Riesling and Gewurztraminer are particularly well adapted to the well-drained granite-mica scree which filters water and retains heat well. Enjoy a second wine tasting session in a typical “caveau”, the name given to the local wineries. After some free time for lunch depart for the Ribeauvillé/Riquewihr wine producing area that is surrounded by 5 Grand Crus appellations: Geisberg, Kirchberg, Osterberg, Schoenenbourg and Sporen. 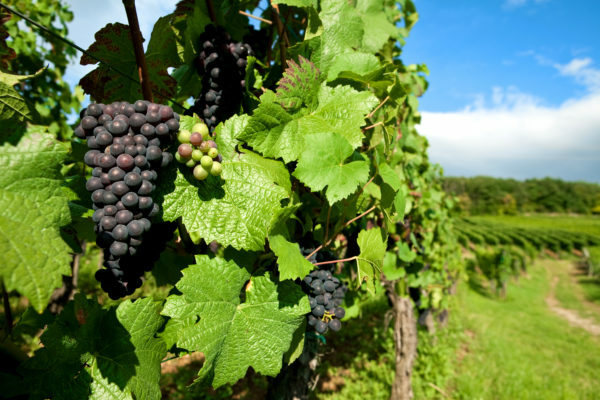 If Riesling is without a doubt the king of grapes in this area, Pinot Gris, Muscat and Gewürztraminer are also known to produce excellent wines on the neighboring soils. Here famous wine growers include the Trimbach family that have been making wine since 1626 or the Hugel family who only began their activity in 1639! 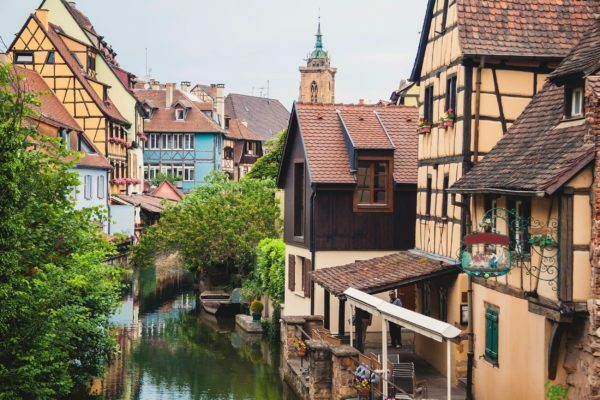 Not only will you be amazed by the beauty of these two Medieval towns, it is also here that you will experience our 2 afternoon tasting sessions in some of the most highly selected wineries so as to complete your Alsace wine tasting experience.